Durban Harbour parking can be a hassle. There are very few parking spaces and pre-booking options are scarce. ParkVia offers valet service at Durban Harbour. Valet Durban Harbour parking makes parking hassle free. All you need to do is drive your car to the harbour where it will be picked up. Booking your Durban Harbour parking is cheap, secure and easy. To ensure your space make a pre-booking, as it can be dificult to find a Durban harbour parking space. Don't wait, book your Durban Harbour parking space now with ParkVia! 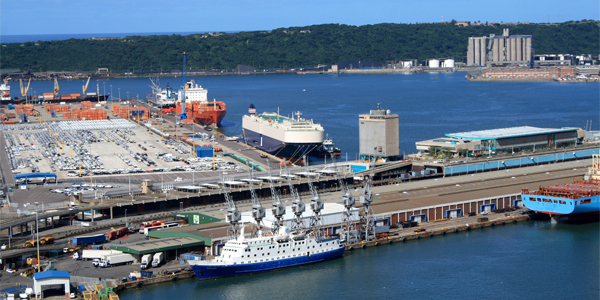 Durban Harbour is the largest container harbour in the Southern Hemisphere, but a number of cruise ships also operate from the harbour. There are several MSC cruises departing from Durban Harbour every year. To make your holiday as enjoyable as possible make sure to pre-book parking.